Many reproductive and developmental health problems are caused by exposure to chemicals that are widely dispersed in our environment. These problems include infertility, miscarriage, poor pregnancy outcomes, abnormal fetal development, early puberty, endometriosis, and diseases and cancers of reproductive organs. The compelling nature of the collective science has resulted in recognition of a new field of environmental reproductive health. Focusing on exposures to environmental contaminants, particularly during critical periods in development and their potential effects on all aspects of future reproductive life-course, this book provides the first comprehensive source of information bringing together the arguments that are spread out among various scientific disciplines in environmental health, clinical and public health fields. 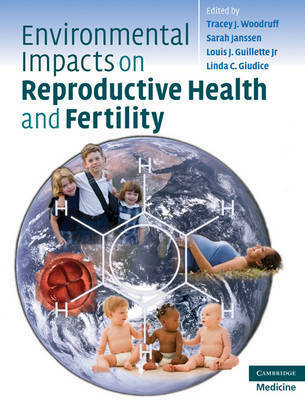 It provides a review of the science in key areas of the relationship between environmental contaminants and reproductive health outcomes, and recommendations on efforts toward prevention in clinical care and public policy. Tracey J. Woodruff is Associate Professor and Director, Program on Reproductive Health and the Environment, Department of Obstetrics, Gynecology, and Reproductive Sciences, University of California, San Francisco, USA. Sarah Janssen is Staff Scientist, Natural Resources Defense Council and Assistant Clinical Professor, Department of Medicine, University of California, San Francisco, USA. Louis J. Guillette Jr is Distinguished Professor of Biology, Department of Biology, University of Florida, Florida, USA. Linda C. Giudice is Professor and Chair, Department of Obstetrics, Gynecology and Reproductive Sciences, and the Robert B. Jaffe, MD Endowed Professor in the Reproductive Sciences, University of California, San Francisco, USA.